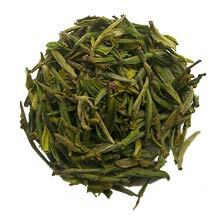 Cha Wang (Tea King) is our highest grade Huang Shan Mao Feng tea. This tea was chosen by Chinese Foreign Affair department to serve foreign VIP visitors. In China, it is known as "Guo Jia Li Ping Cha" or National Gift Tea. Our Huang Shan Mao Feng comes from the tea company owned by Mr. Xie Yi Ping, a descendant of the original creator of this tea (Mr. Xie Zheng An). It is made using the traditional processing method invented in the late Qing Dynasty during the reign of Guangxu Emperor and passed down from six generations ago. This product is certified organic by An Hui Province Tian Yuan Organic Food Center.